Incident # 18-02217 – Two vehicles collided on Robertson Blvd near Holloway Street Thursday afternoon 29-March at 19:30. Both ended up in the ditch with the driver of a Jeep trapped in the wreckage. 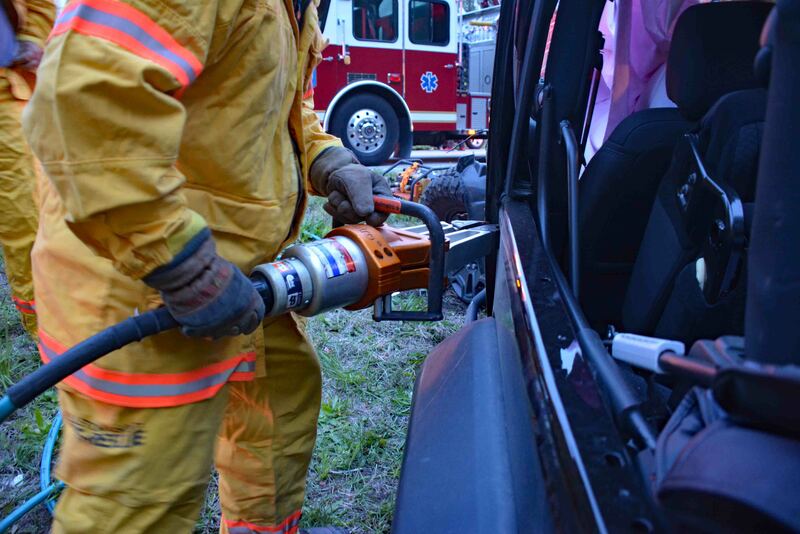 Firefighter-Paramedics treated both people at the scene and used Holmatro Rescue Tools to force open the driver’s door on the Jeep to free the driver. 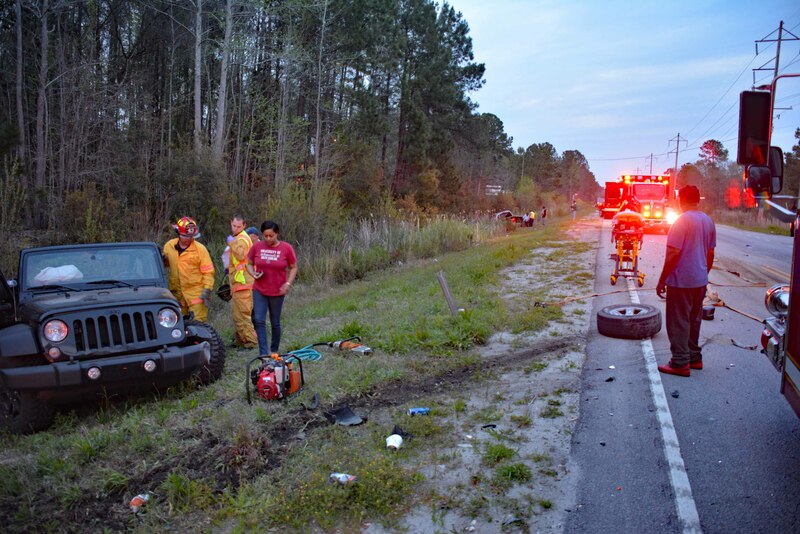 She was transported to Colleton Medical Center for evaluation. The driver of the pickup truck did not require ambulance transportation. 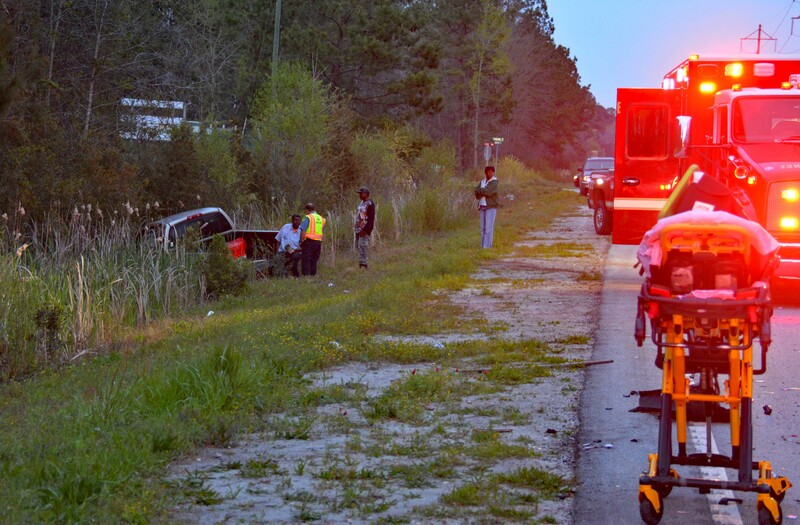 The SC Highway Patrol is investigating the crash. Engine 1, Medic 19, Rescue 1, Car 107 and Car 112 responded. Asst. Chief Marty Stallings served as Incident Commander.